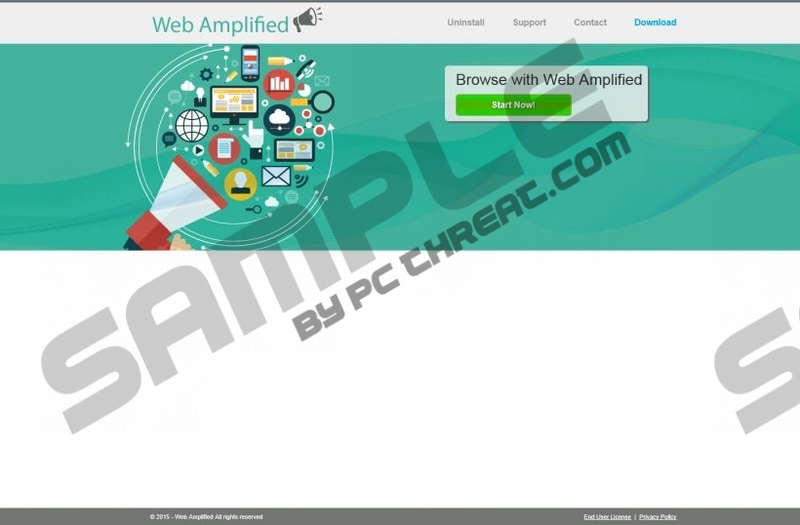 Web Amplified is a browser extension that is compatible with all versions of Mozilla Firefox and Internet Explorer browsers, as well as the older versions of Google Chrome. Even though Windows users are offered to install this program from mywebamplified.com, we have discovered that it is usually spread by third-party software installers. In this case, you need to remove Web Amplified and scan your operating system to learn which other threats you might have to delete from your PC. Our researchers indicate that Wooden Seal, Fragile Fixer, and Wild West are the clones of the suspicious Web Amplified. It is not difficult to realize that all of these programs are clones of one another if you check their official websites. SuperWeb LLC have created these advertisement-supported programs to help affiliate advertisers to present online advertisements. Even though these ads might appear to be useful, they are the reason why we recommend deleting Web Amplified. The reality is that the ads that will be delivered are unpredictable, and you might avoid various risks by removing them. It is no secret that Web Amplified can display ads, pop-ups, coupons, and other kinds of offers, because this program is presented as a shopping assistant. Of course, we would not advise removing Web Amplified if this program was reliable. Unfortunately, the advertisers affiliated with Web Amplified are unfamiliar, which is why it is impossible to know if they will not present highly misleading ads. Why would you put your virtual security at risk for unreliable services in return? Instead of wasting your time on this ad-supported program, you should delete Web Amplified. If you think you will be able to guess which of the Web Amplified ads are reliable and which ones are malicious, you might be very wrong. If you remove unreliable adware and install reliable security software as well as ad-blocking software, you will not need to worry about encountering misleading offers, but as long as Web Amplified is active, any ad that you interact with could end up being unreliable. Due to this, the removal of Web Amplified should be performed as soon as possible. If you postpone the removal of Web Amplified, this adware will install tracking cookies and will present advertisements that belong to unfamiliar parties. We suggest deleting Web Amplified because this ad-supported program is highly unpredictable. You can install automatic malware removal software which is very helpful when it comes to the removal of all malicious programs and the protection of your operating system. You can also rely on your skills to delete Web Amplified manually. Click the Search icon on the Charm bar to find Control Panel. Quick & tested solution for Web Amplified removal.